Image credit: This photo of me at right was taken by French journalist/blogger Victoria Arias in Falkland Palace, Scotland. GO TELL THE BEES THAT I AM GONE will be the ninth in my series of major Outlander novels. I am writing and doing the research for this book now. So far, I have posted almost fifty excerpts as I create this new book. Please visit my official BEES webpage for more information about the novel, and to access all BEES excerpts. 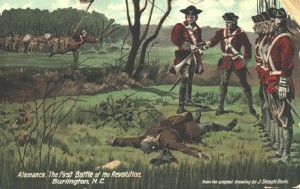 Tryon Palace and Alamance Battlefield Events With Diana in April! 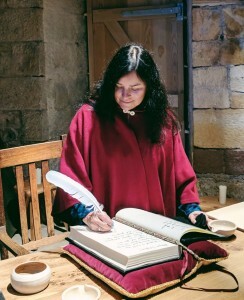 Diana Gabaldon will be the guest of honor for a series of four separate public events celebrating the Outlander novels and North Carolina history from April 26th through the 28th, Friday through Sunday. Some events will occur at Alamance Battlefield and Tryon Palace, historic sites that appear in her Outlander series of novels. The series of events include several talks by Diana, a book signing, a tour of the Alamance Battlefield with Diana, and a formal dinner at Tryon Palace. Note that the details for the Paramount Theater talk and book signing have changed since the events were first announced. All of these events are planned and hosted by the North Carolina Department of Natural and Cultural Resources. Proceeds of the events will go to support groups for these historic sites, per the organizers. The Poisoned Pen bookstore sells new copies of all of my books, signed by me, and they ship anywhere in the world! (There is no extra charge for my signature.) More information. Looking for something to read until GO TELL THE BEES THAT I HAVE GONE is released? Check out my suggestions of books that I recommend by other authors in my Methadone List. This is the only official website for Diana Gabaldon, bestselling author of the OUTLANDER series of major novels, the Lord John series, and other works. 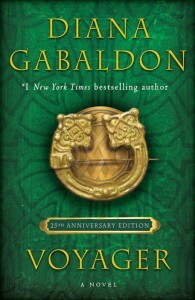 All first-person text was written by Diana Gabaldon. Third-person entries are usually written by Diana’s Webmistress. This page was last updated on Saturday, April 20, 2019 at 8:15 a.m. (Pacific Time) by Diana Herself or Diana’s Webmistress.